Nicole’s mother is a Local Studies Library Officer and has worked in public libraries for over thirty years. 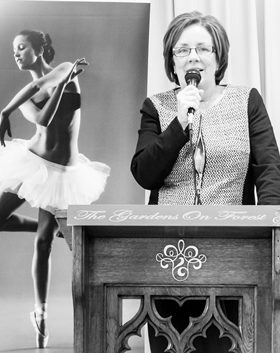 Julie supported Nicole’s love of ballet attending hundreds of eisteddfods including the Genee in London in 2005. A cherished memory is when Julie and Nicole celebrated Anzac Day at Gallipoli in 2010.